In Small Things Remembered » Pan American and Ariana form a partnership. Pan American and Ariana form a partnership. 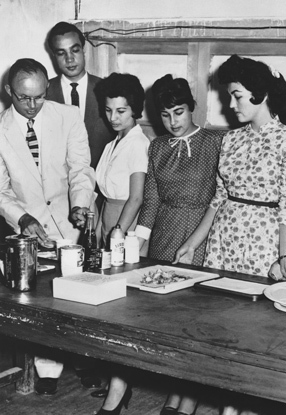 a. Afghan airline hostesses being trained in food-serving procedures. 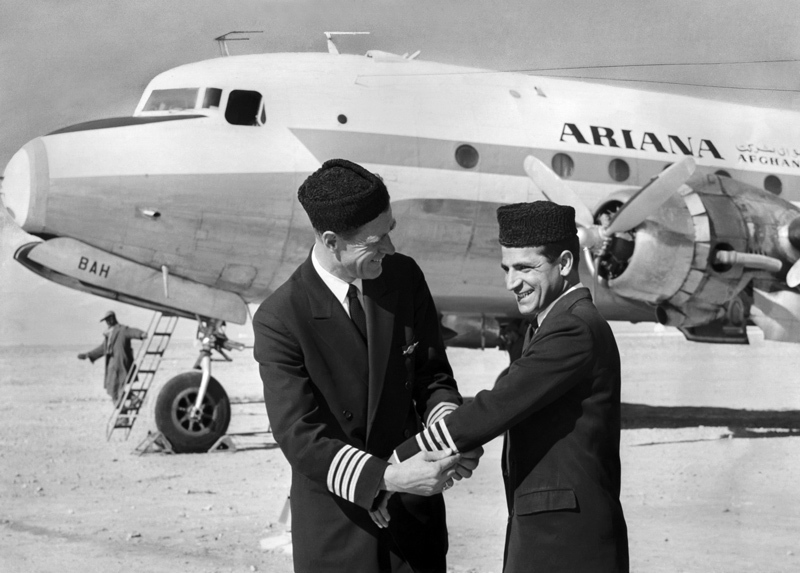 b. Captain Everett W. Wood, Ariana Chief Pilot and Pan Am instructor, presents pilot stripes to Enaam-ul-Haq Gran. Captain Gran was the first Afghan pilot of Ariana Airlines to receive command status for a four-engine aircraft. Pan American World Airways and Ariana Afghan Airlines entered into a partnership in 1957. The merger was created to promote Ariana as an international carrier, and resulted in courses for Afghan pilots, flight attendants, and ground staff. Afghans such as Captain Gran were first trained in Afghanistan and then traveled to the United States for further instruction and certification from the U.S. Federal Aviation Agency. Courtesy of the National Archives Still Picture Unit. 286-C-1-2; 286-C-1-1.